I recently made this small drawer/ organizer to place on top of my side table. I used cardboard boxes and cut them to make this drawer. I use this drawer/ organizer to keep my charger, headset, creams, powder, and other essentials. We can also use this as a jewellery or accessory organizer. I used coloured A4 papers for covering the cardboard box. I selected colours that matched the furniture of my room. For the handle, I selected a small lid of a bottle and a screw. 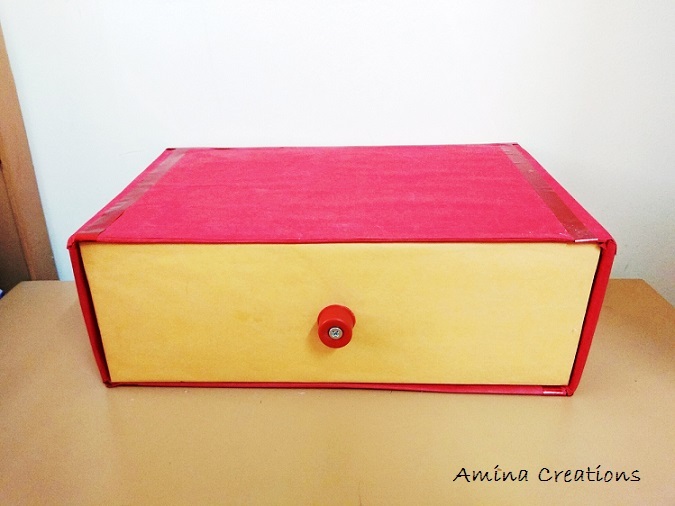 Do check out the video below for the detailed tutorial on how I made this cardboard organizer. Please subscribe to my channel for notifications on new videos.